ST. GEORGE — St. George officials enthusiastically announced the appointment of a new housing and economic development director during a public meeting Thursday evening. After a monthslong vacancy, the city has hired Shirlayne Quayle to fill the role previously held by Matt Loo, who left St. George to work in a similar position for Washington City. “We have finally found someone that we think is going to do a fantastic job for the city of St. George to represent us in our economic development efforts,” City Manager Adam Lenhard said. Quayle, a St. George resident of seven years, comes to the position with experience in the field, having previously worked for Dixie State University and the state of Utah’s USTAR initiative, a technology-based economic development agency. “I think Shirlayne is a fantastic choice,” Mayor Jon Pike said, explaining that city officials knew “someone really good” would be needed to fill such a vital role. As housing and economic development director, Quayle will assist the mayor, City Council and city staff in advancing the city’s economic development vision by administering local, state and federal programs and initiatives intended to support citizens and businesses alike. Administrating community development block grants to help residents secure affordable housing. Requesting qualifications or proposals for contracted work on city-owned property. Working with the St. George Housing Authority to assist low income residents with living accommodations. Lenhard said Quayle will be working with such agencies as Switchpoint Community Resource Center to address homelessness in the city. Quayle said it is noteworthy that St. George combines housing and economic development into a single department. “You can’t really do one well without the other,” she said. On the economic development end of her position, Quayle will help ensure St. George is involved in any discussions relating to the community’s business interests. 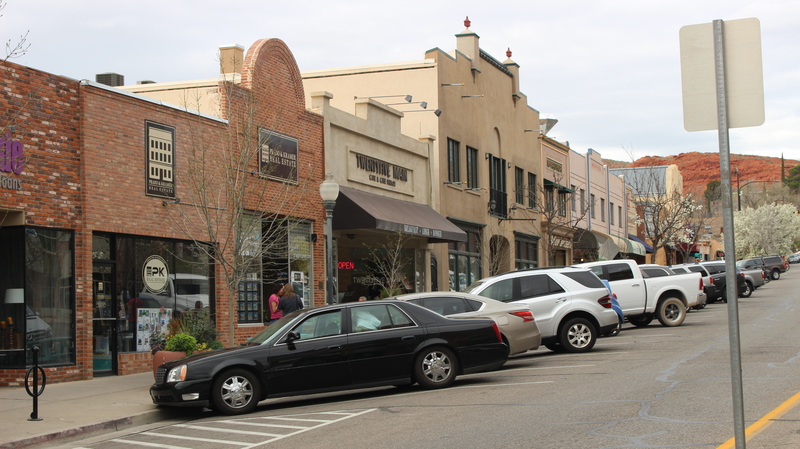 “We are the eighth largest city in the state, soon to be seventh – maybe sixth, I dunno, the way things are going,” Pike said, referring to the rapid growth St. George is experiencing. With many significant economic policies and programs being developed at the state capitol in Salt Lake City, Pike said Quayle’s position is critical in lobbying for the economic interests of Southern Utah. Quote sounds like something tRump would say. Which one? Most were from the “Man” in the room. Thank you Utah. I didn’t want to hear her introduce herself, and describe her qualifications and experience. Better just let us Men look at her very pretty face, and hear the “misc details” from one of our own.